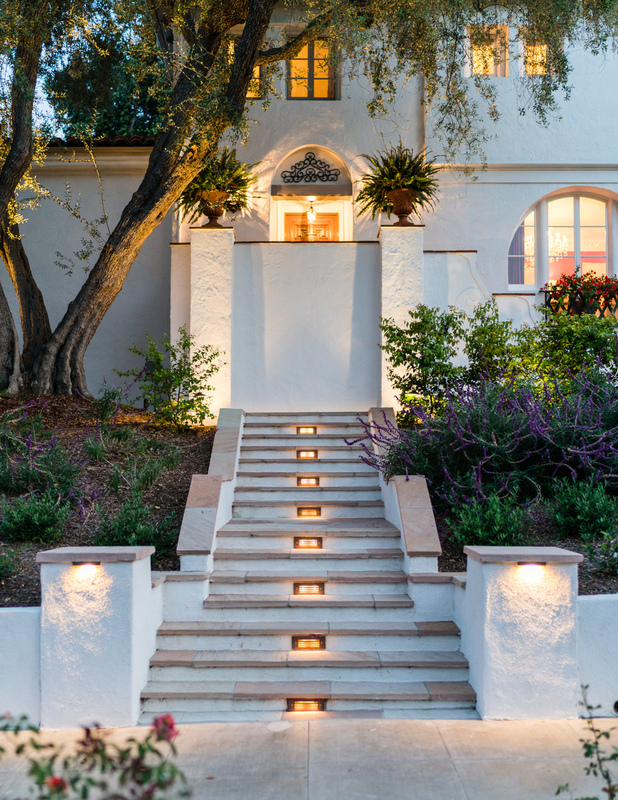 In fully renovating the landscape of this elegant 1929 Spanish Revival home, it was important to both client and designer alike to respect the existing architecture and palette of materials while introducing a more user-friendly, contemporary entry sequence, water-wise planting, and beautiful lighting. A new Arizona flagstone driveway provides ample space for four cars without overwhelming the space. More formal, wider entry steps are now centered on the garden space and bring visitors closer to a beautiful, existing specimen Olive tree. A wide secondary path connects the driveway to the front steps and opens up to create a small, private courtyard where there was once was only compacted soil and trees. New pilasters mimic the existing architecture and anchor various points of the site and help to balance the property.